The report was sent to the Justice Department for the attorney general's review. 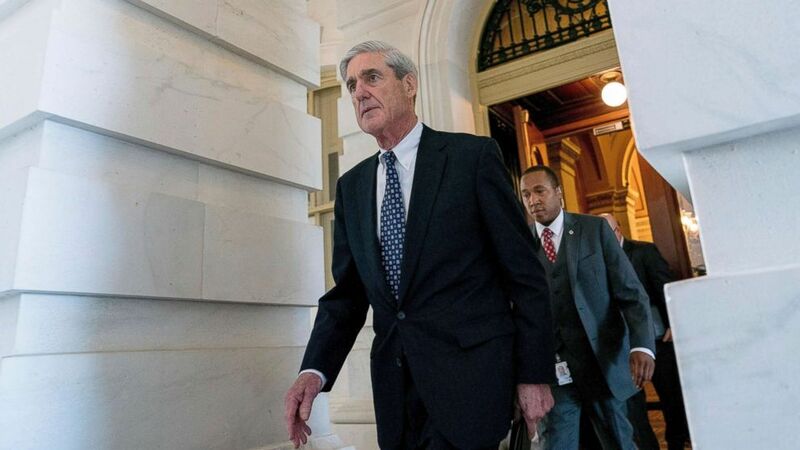 Attorney General William Barr headed into work on Saturday morning to read special counsel Robert Mueller's report. 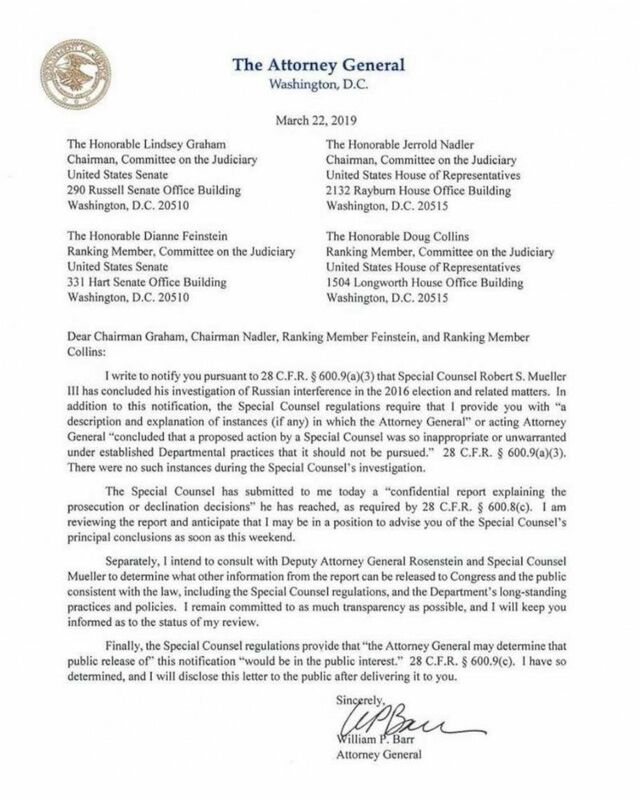 The much-anticipated report was handed to the Justice Department for Barr’s review, and Congress was notified of the transfer late Friday afternoon, according to a Justice Department spokeswoman. 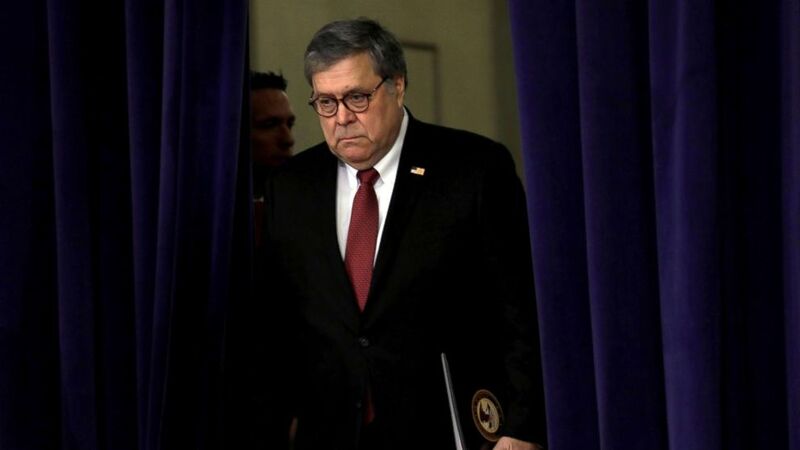 (Yuri Gripas/Reuters, FILE) Attorney General William Barr arrives for an event at the Department of Justice in Washington, D.C., Feb. 26, 2019. (Andrew Harnik/AP, FILE) Special Counsel Robert Mueller departs Capitol Hill following a closed door meeting in Washington, June 21, 2017. ABC News' Pierre Thomas, John Santucci and Kyra Phillips contributed to this report.